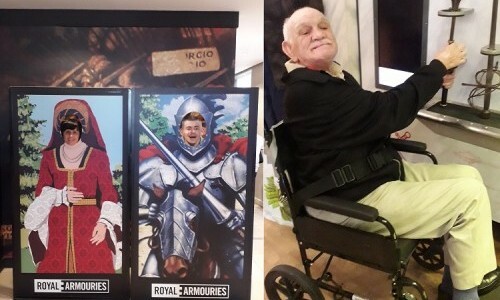 The residents from the House of Light, Catholic Care’s Residential Home for adults with a learning disability in Leeds visited the Royal Armouries in October. They spent many hours there looking at the various displays and re-enactments of sword fighting and medieval combat. Frank asked if he could take the war mace home with him!! People got involved with various activities and we paid particular attention to the WW1 displays. 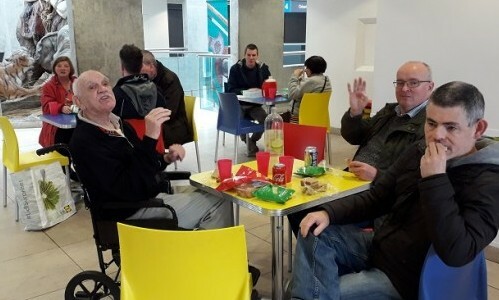 Everyone agreed that we had a fantastic time there.